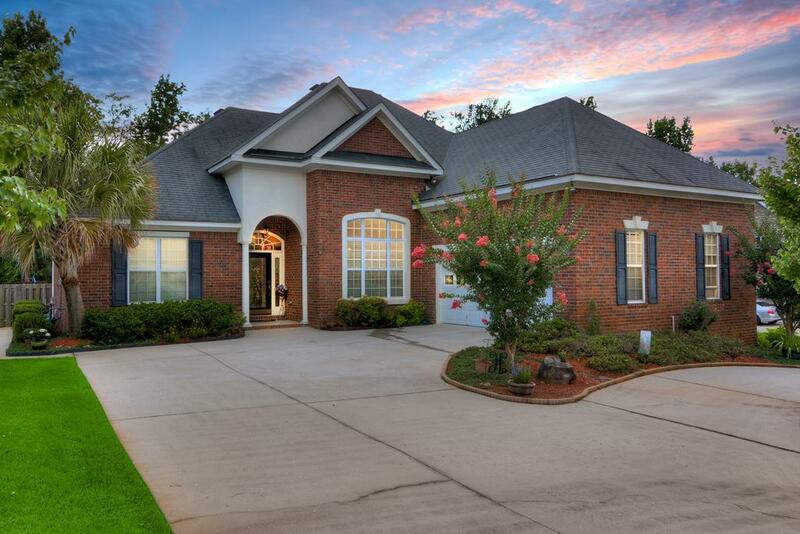 Beautiful brick home in highly sought after Highgrove @ Williamsburg neighborhood. 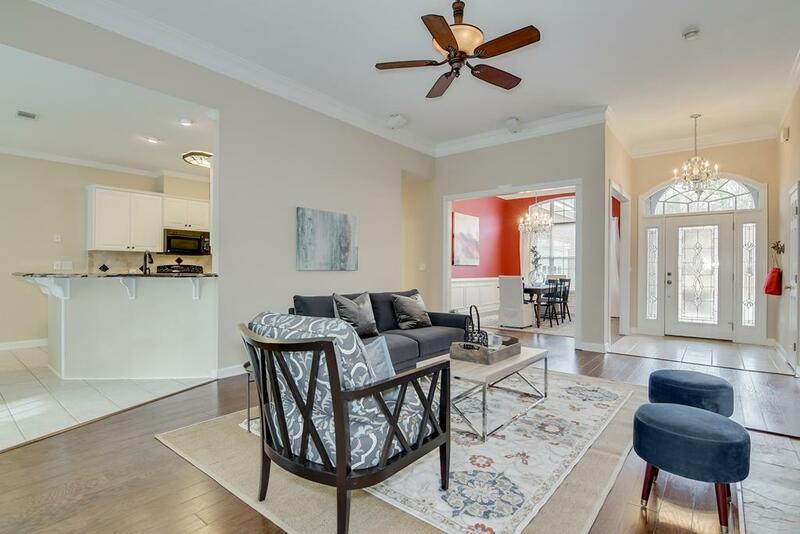 Guests will love the grand entrance into your home that opens to the great room and formal dining room. 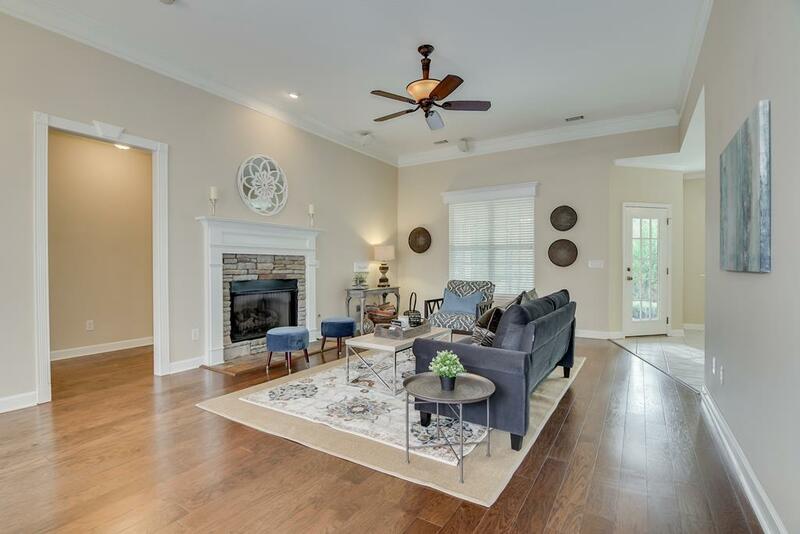 Stone, gas fireplace is the gorgeous focal point for the spacious great room. Stunning granite in the kitchen, tiled backsplash, double oven smooth-top range and abundance of cabinet space. Owner's suite on the main level is complete with trey ceilings, double vanity, separate shower, jetted tub and large closet. 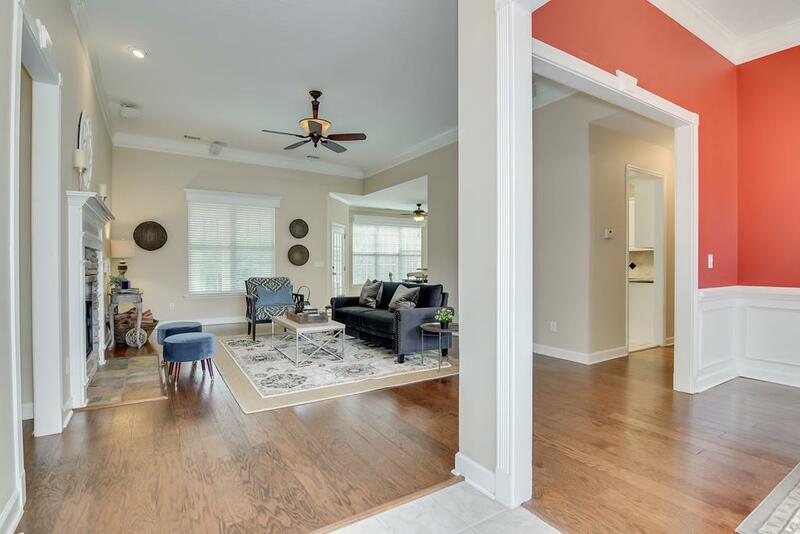 2 additional bedrooms and full bath located downstairs with bedroom, full bath and large living space upstairs(could make 5th bedroom)! No shortage of storage in this home. As soon as you step into the backyard you will see why this is one of the seller's favorite things about this home! Covered and uncovered stone patio provides plenty of space for dining and entertaining outdoors. Backing up to greenspace, large fenced in yard with mature landscaping offers privacy and a serene setting! Listing courtesy of Market House Realty, Llc.